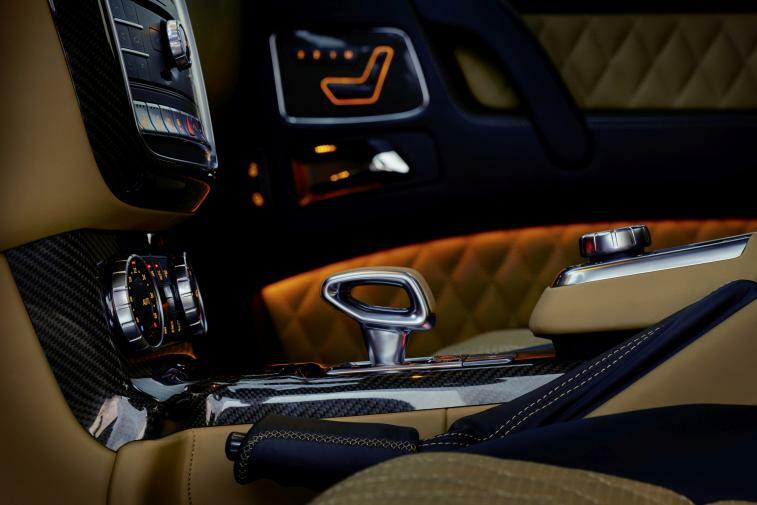 Mercedes Maybach presents a new masterpiece of automotive engineering. 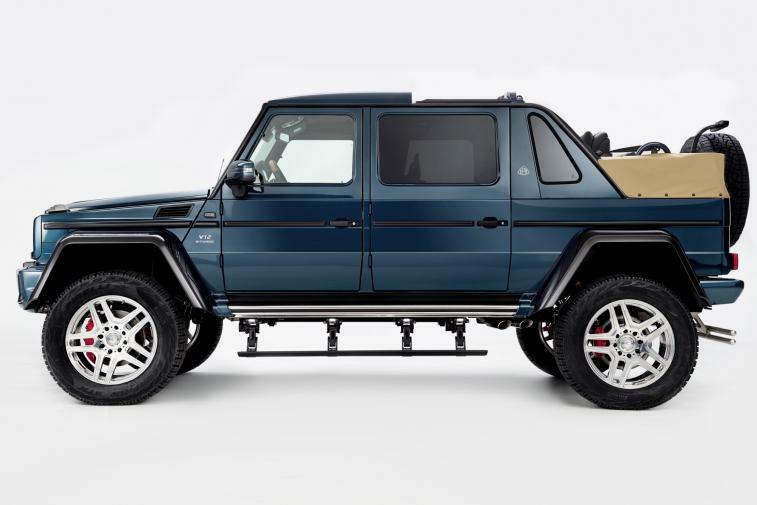 After the Mercedes-Maybach S Class and the S 650 Cabriolet, the open-top G Class is the first off-roader from the Mercedes-Maybach sub-brand. 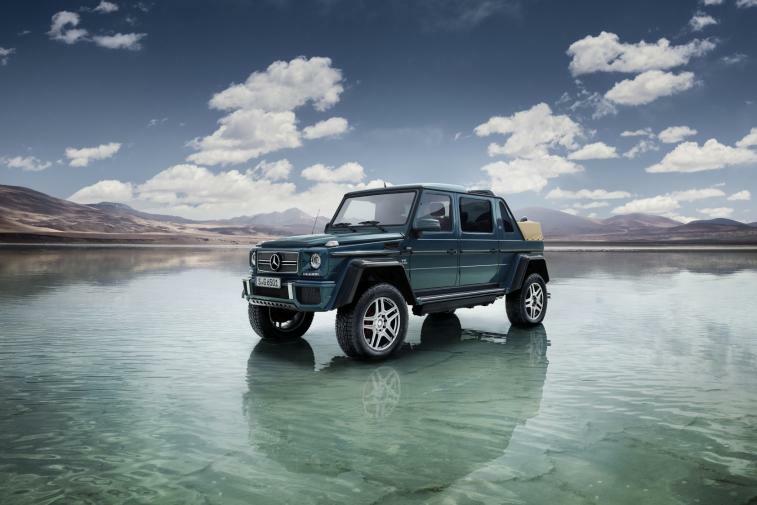 The exceptional G 650 Landaulet follows the equally spectacular variants AMG G 63 6x6 and G 500 4x42. 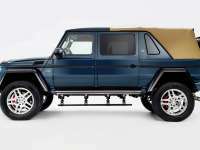 With its superlative V12 engine, portal axles, electric fabric top and exclusive equipment specification in the rear compartment, this very special all-terrain vehicle, which is limited to 99 units, meets the expectations of customers who demand the very highest standards of their vehicle.The Mercedes-Maybach G 650 Landaulet is surely the most exclusive form of stylish open-top motoring. 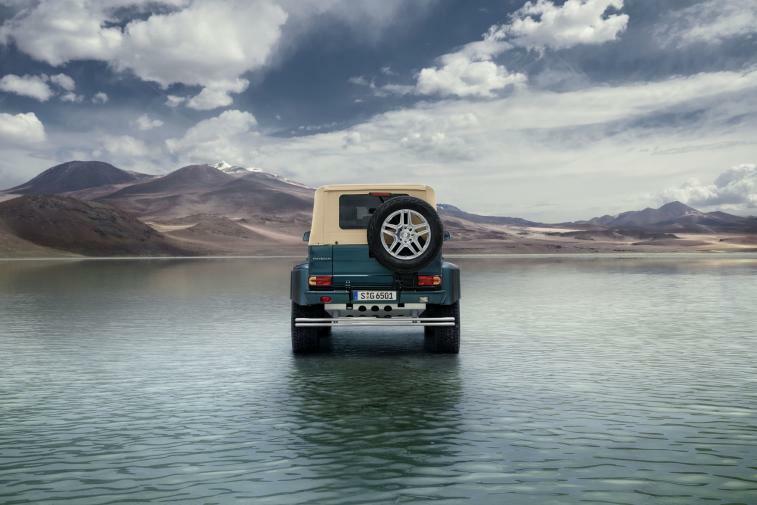 The history of the G-Class is rich in superlatives and landmarks. 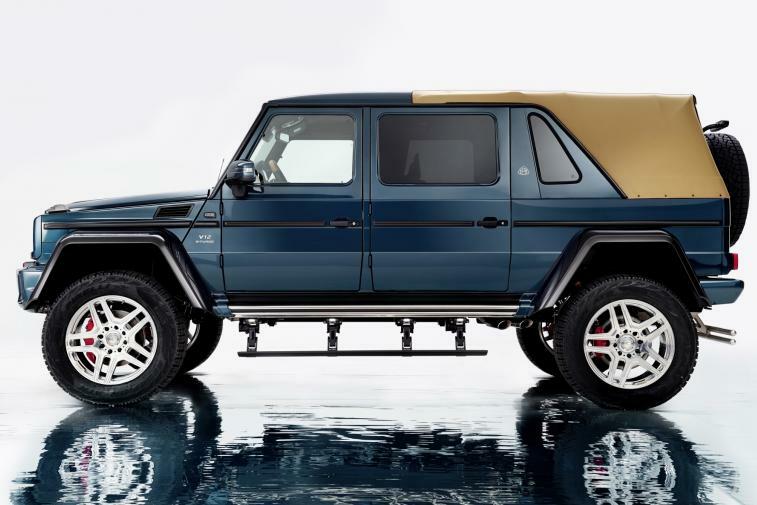 With the new Mercedes-MaybachG 650 Landaulet, the off-road icon demonstrates that the definition of unique luxury can always be taken to a new level. 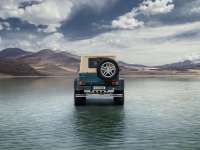 Not only that: the cult vehicle among off-roaders is forever reinventing itself and providing yet more evidence of the potential that still resides in this classic all-terrain vehicle today, which has been in production since 1979. "The name Maybach dates back to the beginnings of the automobile. It stands for supreme luxury with tradition, combined with high-tech. In 2015, we took the logical step of opening a new chapter in the luxury class with our Mercedes‑Maybach sub-brand. Since then, over 15,000 Mercedes-Maybachs have been produced. Hence, one in every ten vehicles sold in the S‑Class segment was a Mercedes-Maybach. 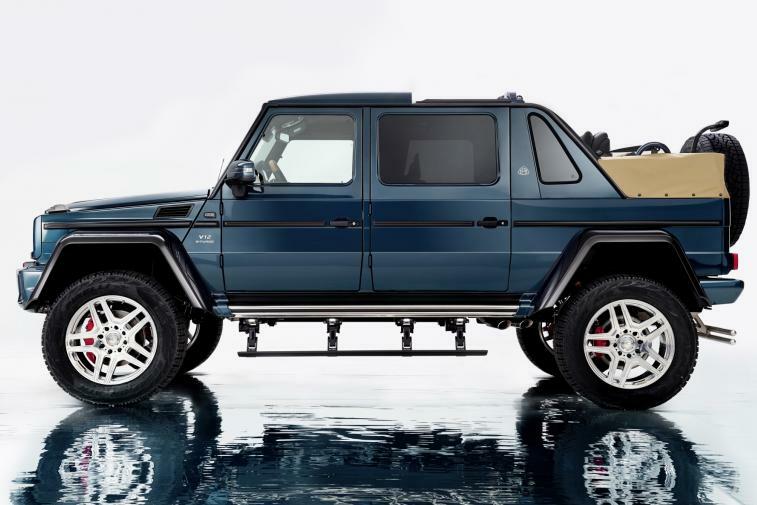 With the Mercedes-Maybach G‑Class Landaulet, we are now extending the Mercedes-Maybach portfolio to include the world's most iconic and prestigious off-roader. With the fifth model after the S‑Class Saloon, Pullman and Cabriolet as well as the Mercedes-Maybach Vision 6 show car, we are underlining the importance of the Mercedes-Maybach sub-brand for the Mercedes brand family," says Dr Jens Thiemer, Head of Marketing Mercedes-Benz Cars. 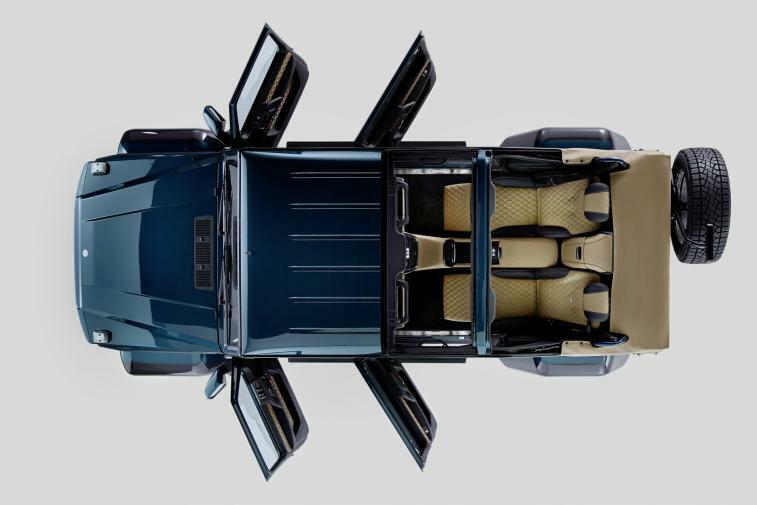 With a length of 5345 millimetres, a wheelbase of 3428 millimetres, a height of 2235 millimetres, almost half a metre of ground clearance and ample space and comfort for four passengers, the G 650 Landaulet surpasses all standards. 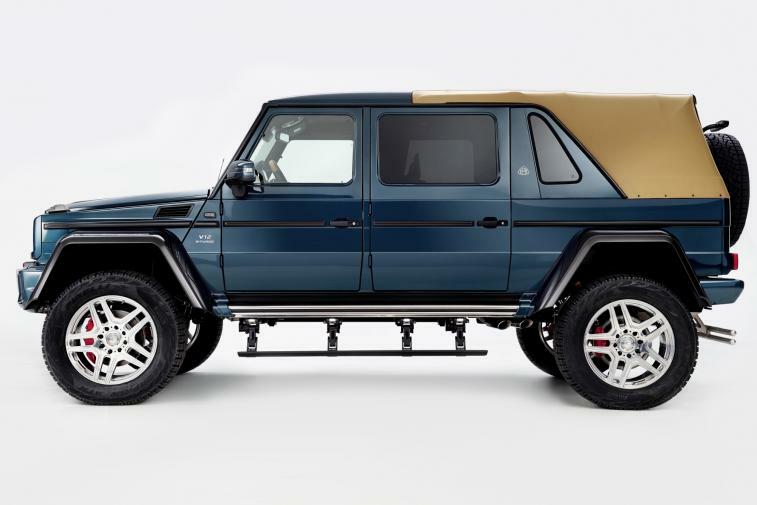 This extrovert G‑Class thus represents a unique combination of luxurious chauffeur saloon and off-roader. While the driver and front passenger are accommodated under the closed roof, the rear passengers can revel in a maximum of comfort: at the press of a button, a large folding top opens electrically to offer a view of the blue sky. The rear passengers enjoy the majestic open-air experience from their single seats. 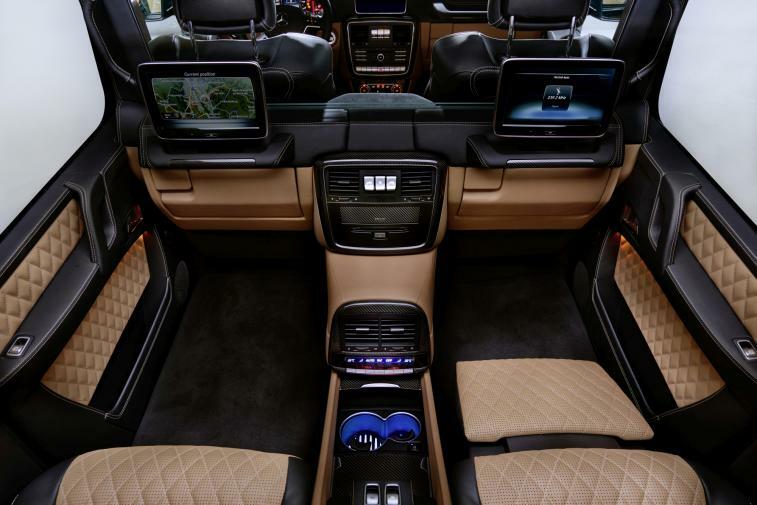 On demand, an electrically operated glass partition separates the rear compartment from the driver's section. In addition, the glass can be changed from transparent to opaque at the press of a button. Thanks to the 578 millimetre longer wheelbase, the passengers in the Mercedes‑MaybachG 650 Landaulet benefit from extensive freedom of movement. The first-class rear seats from the S‑Class significantly enhance the seating comfort and spaciousness: the electrically multi-adjustable individual seats can be conveniently set to a fully reclined position. The active multicontour seats with ENERGIZING massage function have inflatable air chambers to provide high seating comfort and excellent lateral support. Massage programs make for enhanced well-being – according to the principle of a relaxing hot-stone massage, including with heat. The rear seating concept is augmented by a calf rest, which is freely adjustable in length and swivel range. 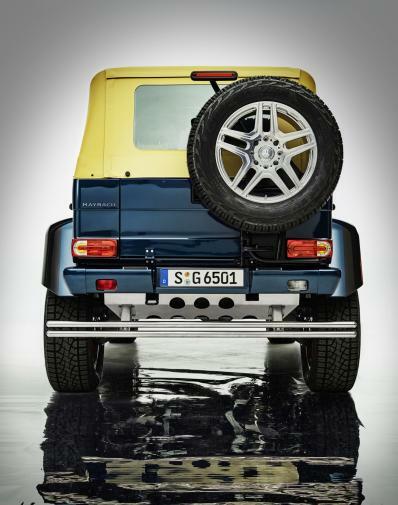 The other appointments of the G 650 Landaulet also leave nothing to be desired. 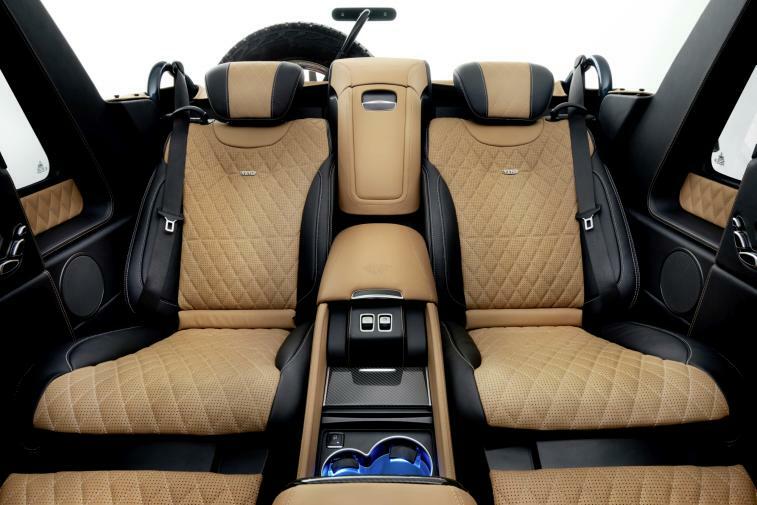 To afford the rear passengers the optimum in comfort, there is a large business console with thermal cup holders between the individual seats. These allow beverages to be cooled or heated over a lengthy period of time. he controls for opening or closing the glass partition are integrated behind the cup holders. Similarly to an aircraft seat, the centre console comes with two tables, which can be easily folded in or out with one hand. The table tops have leather inserts to provide a comfortable writing surface or to allow the use of tablets and notebooks. Positioned in front of the cup holders is a control for the rear air conditioning. Further forward is a "G cockpit" in the style of the driver's instrument panel. 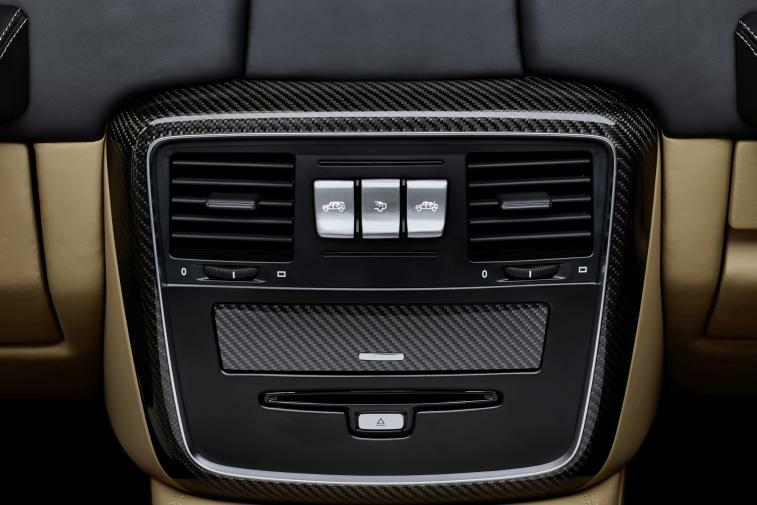 The centre console houses the three distinctive, centrally placed pushbutton switches. These switches are not used to operate the three differential locks, however: one switch is for the interior lighting, while the other two are used to open and close the soft top. 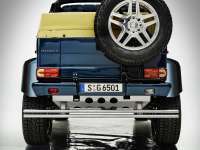 The rear "G cockpit" also includes two glove compartments as well as grab handles typical of the G‑Class. The cross-member, which also holds the glass partition, accommodates two 25.4 cm (10‑inch) high-resolution media displays of the Individual Entertainment System. 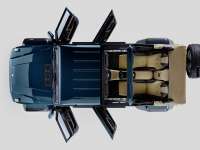 The luxurious, exquisite character of the Landaulet is emphasised by the high-grade designo upholstery with diamond stitching, which is in all cases two-tone and available in four trim colours. Customers can choose between three different matching colours for the fabric top as well as four attractive designo paint finishes, including a matt finish. "V12 BITURBO" lettering on the front wings points to the ultimate in motive power, the 12‑cylinder engine. The radiator grille features a chrome-plated double louvre and a chrome-plated screen. Exclusive "LANDAULET" lettering is worked into the rim flanges of the ceramically polished, 55.9 cm (22‑inch) 5‑twin-spoke light-alloy wheels. Electrically extending entry aids make for easier access to the vehicle. Other exclusive exterior design features include front and rear underride guards, large wheel-arch flares in genuine carbon fibre as well as, mounted on the right at the rear, the spare wheel with integral holder for the third brake light. 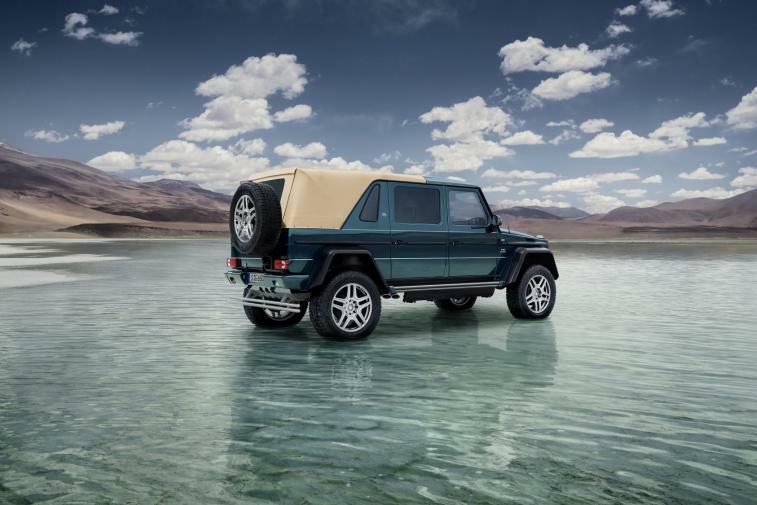 As is customary with the off-road icon, the "G" is forever breaking new ground: unlike previous Landaulets, which were based on prestigious saloons, the Mercedes-MaybachG 650 Landaulet also has what it takes to deliver an unforgettable off-road experience. Familiar from the AMG G 63 6x6 and G 500 4x42, the portal axles provide ample ground clearance of 450 millimetres, allowing the open-top all-terrain vehicle to overcome even extreme obstacles in masterly fashion. In contrast to a conventional rigid axle, the wheels are not at the height of the axle centre, but are instead situated much further down on the axle heads owing to the portal transmission. Tyres of size 325/55 R 22 form the ideal basis for perfect handling both on- and off-road. 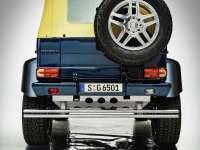 Of course, the latest "G" also features the typical 100‑percentdifferential locks, which can be engaged while on the move, as well as the low off-road ratio of the transfer case. The combination of this 4WD technology, unique in the off-road segment, makes the G 650 Landaulet stand out from all other 4x4 vehicles.